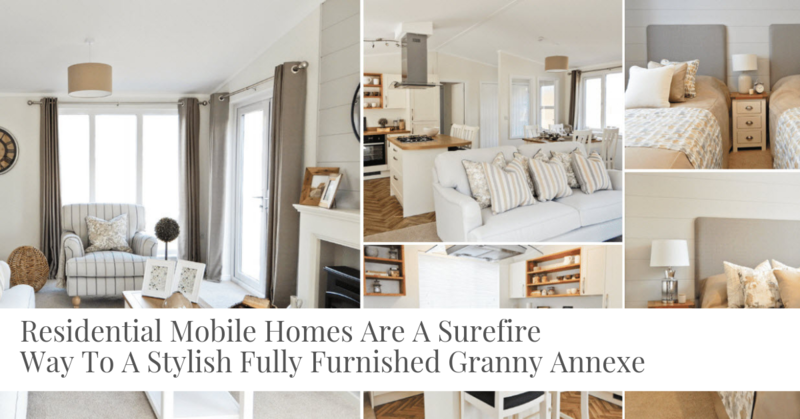 We’ve been involved with annexes and granny annexes for over a decade now and have seen them evolve from imported Swedish Log Cabins to Timber-Frame & SIPS buildings built on site or pre-manufactured and built as residential mobile homes. All the residential mobile homes we supply are built to British Standard 3632 and are protected by a 10 year structural warranty for added peace of mind. 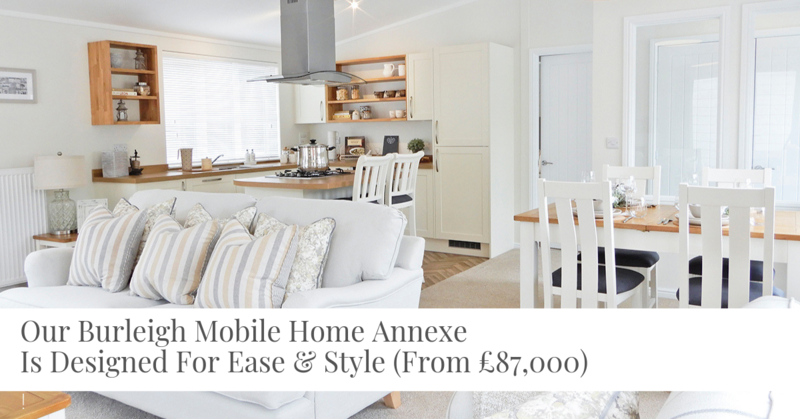 If the thought of having an annexe built on site for 8-10 weeks fills you with dread, then for round about the same cost (or for some models slightly less) you can choose from a wide range of residential model homes that come fully furnished and ready to move right in! 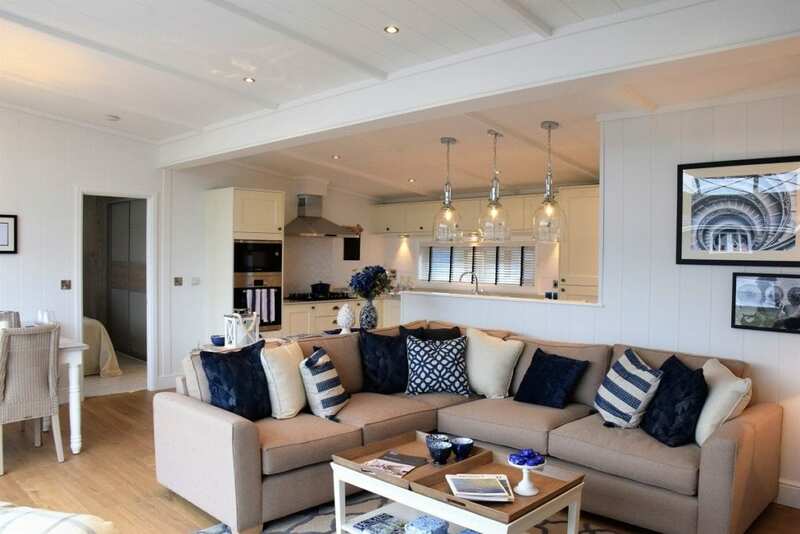 Annexes are popular for a wide variety of reasons. They are considered affordable "little homes" for family members choosing to live at the bottom of the garden. Elderly care as an alternative to Care Homes (which can cost on average around £1,000 per week in the UK). Downsizing to free up equity and help family members to benefit from an early inheritance. Anticipating future care needs and being close to a member of the family. 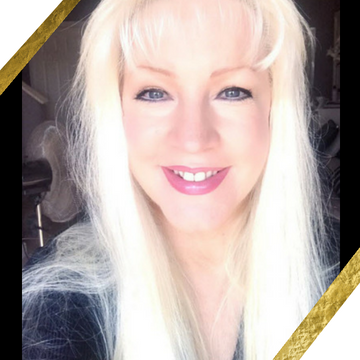 Preventing loneliness after the loss of a spouse or partner. An alternative to living back in with Mum & Dad after a change in circumstances, divorce or separation. Young single parents in need of a place of their own. Independent living for teenagers and young adults unable to get on the housing ladder. 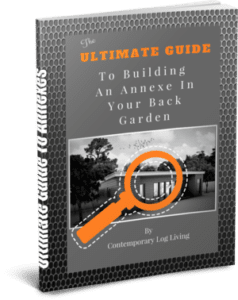 We see dozens of customers each and every month coming to terms with all the vitally important decisions involving annexe living. Which family member's garden will Mum or Dad be moving to? How will my partner / spouse cope with a family member living so close? What is the best way to go about releasing equity & protecting it? What happens in the future if Mum or Dad become ill? Will the value of the main house increase if I add an annexe? How do I obtain a Certificate of Lawfulness if that's the best way forward? What are mobile homes like to live in? Can I move the annexe to a different location if I sell the house? How long will it take to build the annexe if it's built on site? What's the best way to go about having an annexe built & what's included with the annexe I would ideally want? What budget do I need to consider as the best value for money? Can I see one before I buy? 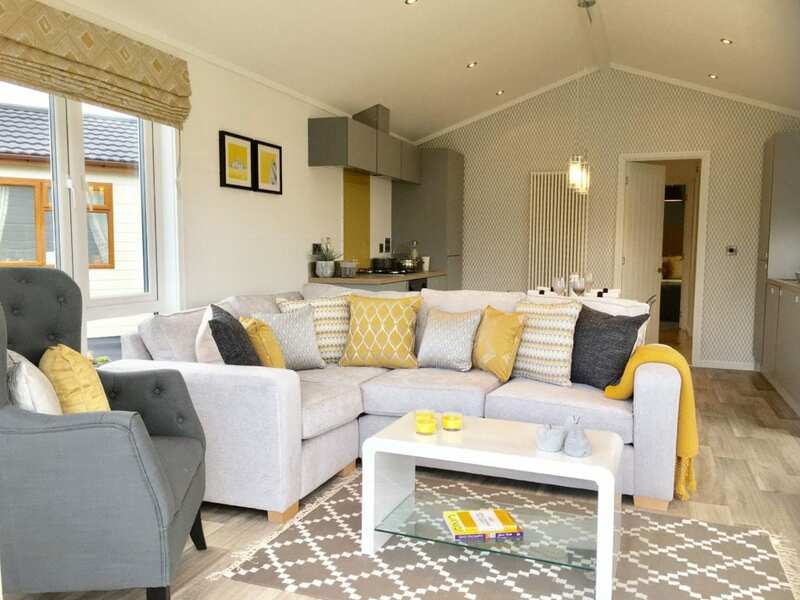 We have recently partnered up with one of the largest Residential Mobile Home manufacturer's in the UK to bring you the very best when it comes to luxury annexes. Vaulted ceiling to lounge, kitchen & dining area. Hob, oven, dishwasher, fridge/freezer and washer/dryer. Dining table & 4 chairs, coffee table and lamp table. Two-tone free standing bedroom furniture and en-suite to master bedroom. Colour co-ordinated sofa, curtains and carpets. Vinyl to kitchen, bathroom & en-suite. 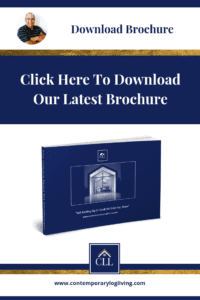 Choose from a wide range of models that are all built to British Standard 3632 and comply with The Caravan Act so you will not need to apply for full Planning Permission you will only need a Certificate of Lawfulness which we can apply for on your behalf. 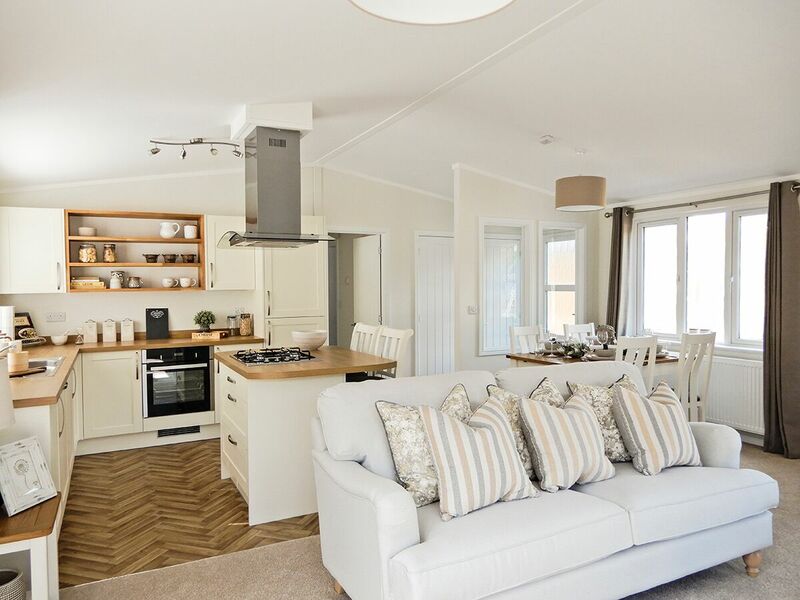 There is a show model village for you to visit in a central location where you'll see whether lodge style living is right for you. Plus! 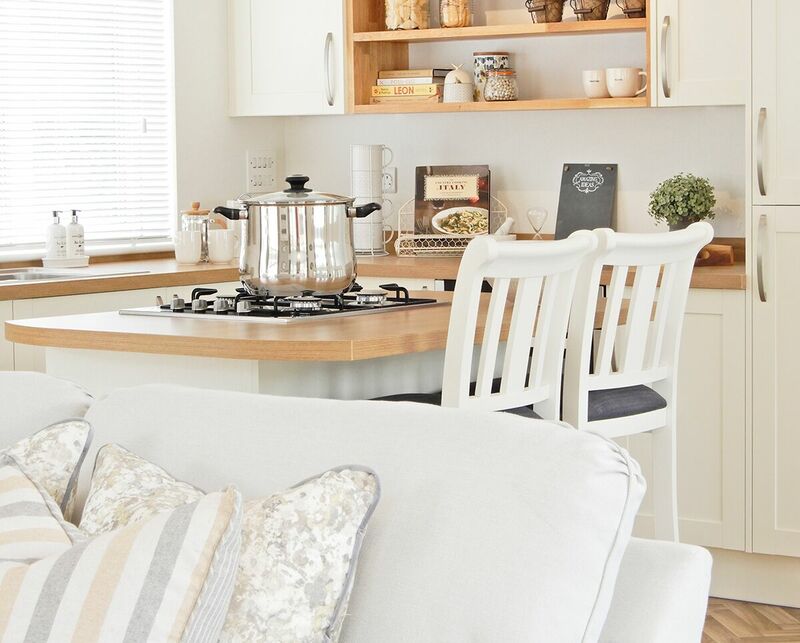 You'll see the high quality of what's included, get a feel for the overall size & layout that suits you and your family members in a relaxed and informal way. 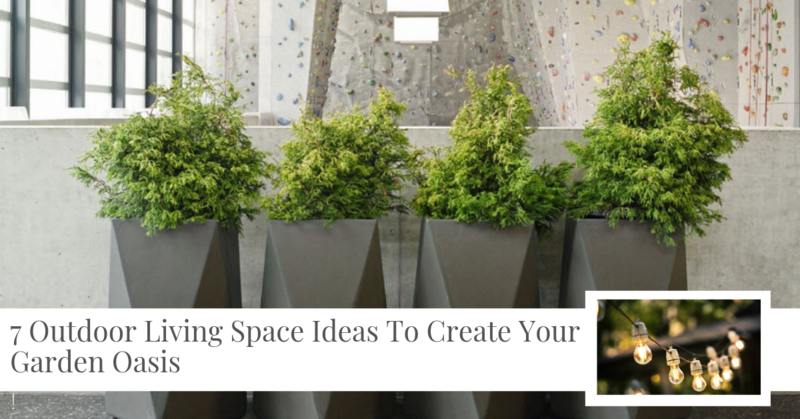 Some of us LOVE everything to do with interior design and some of quite frankly don't. 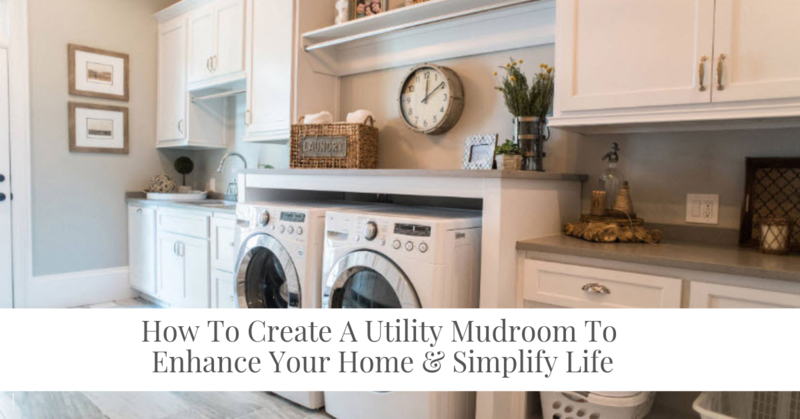 And if the thought of choosing your kitchen, bathroom, flooring, and paint colours fills you with dread and you would rather hand over that part to a professional designer well now you can! 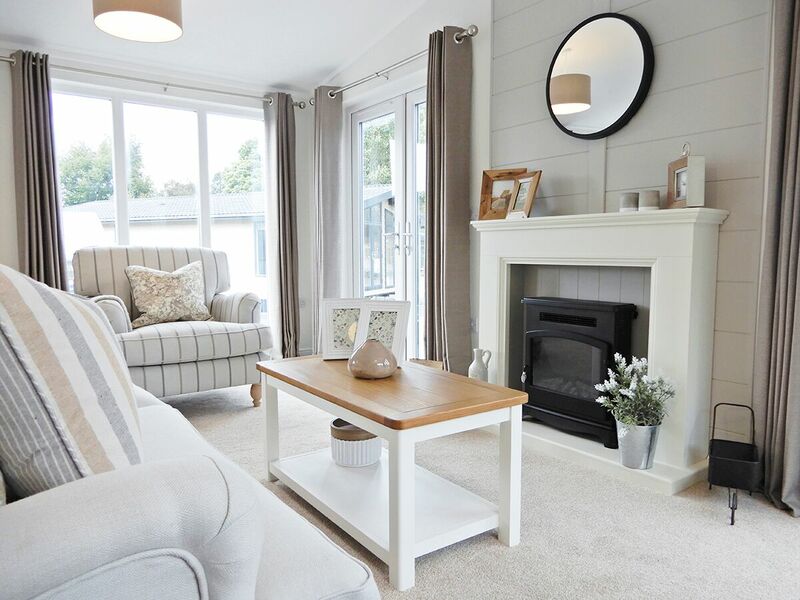 When you visit the show model village we'll give you a tour of the design studio where you will see the huge choice of furniture packs and soft furnishings that come with this style of residential mobile home annexe as standard. 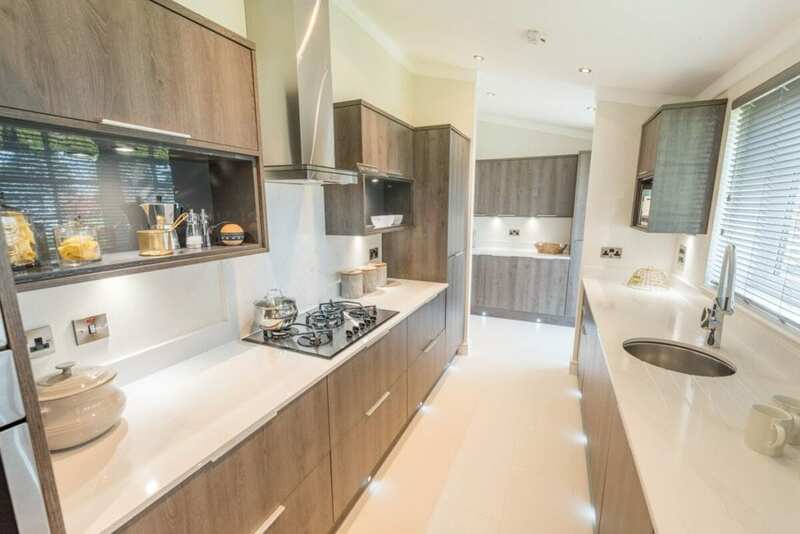 The whole residential annexe is delivered, assembled, unwrapped and furnished within just a few days; leaving you with less mess, less stress and a stunning new home at the bottom of the garden within a few weeks of obtaining the relevant permission from your Local Planning Authority. 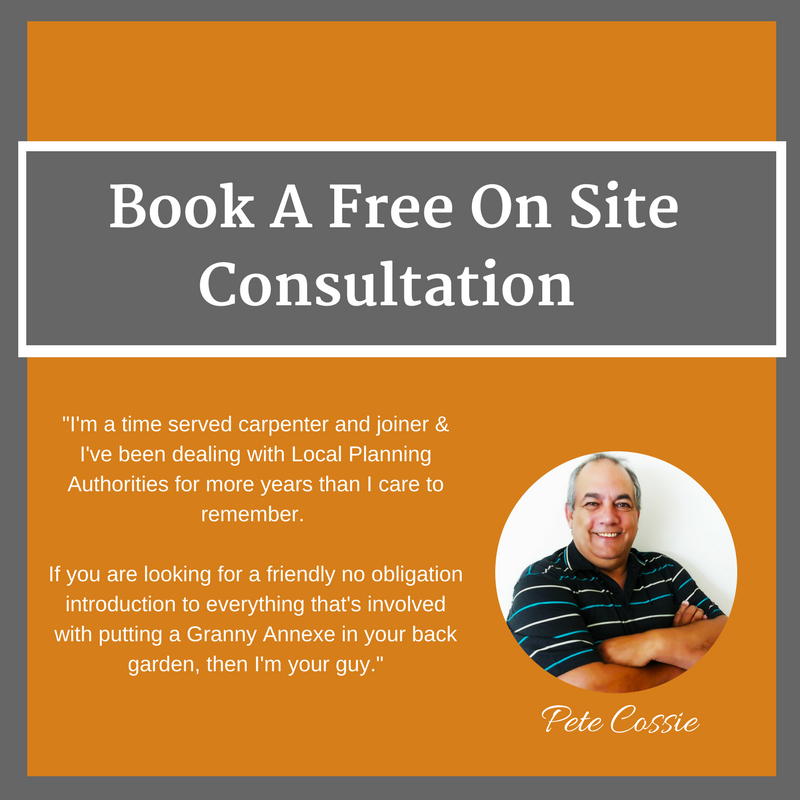 Ready To Book A Free On-Site Consultation Service? We can discuss all your Planning Permission concerns, assess any site access issues & help you plan your mains connections and foundations as part of our Free On Site Consultation service. 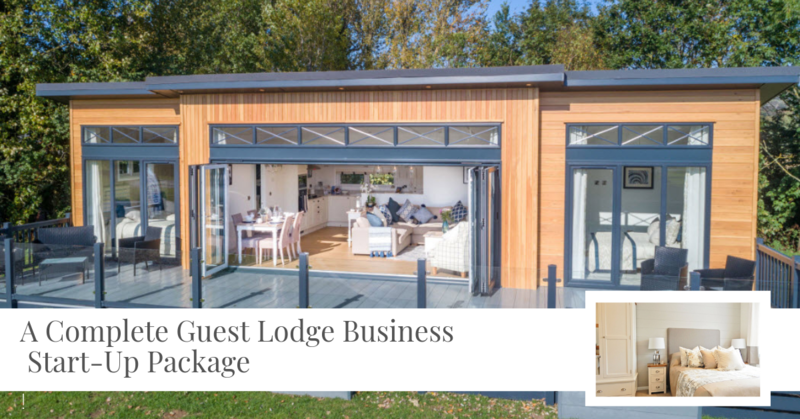 Residential Mobile Homes like these luxury lodges come fully furnished and comply with the Caravan Act so full planning is not required, you will need a Certificate of Lawfulness which we can obtain on your behalf if required. 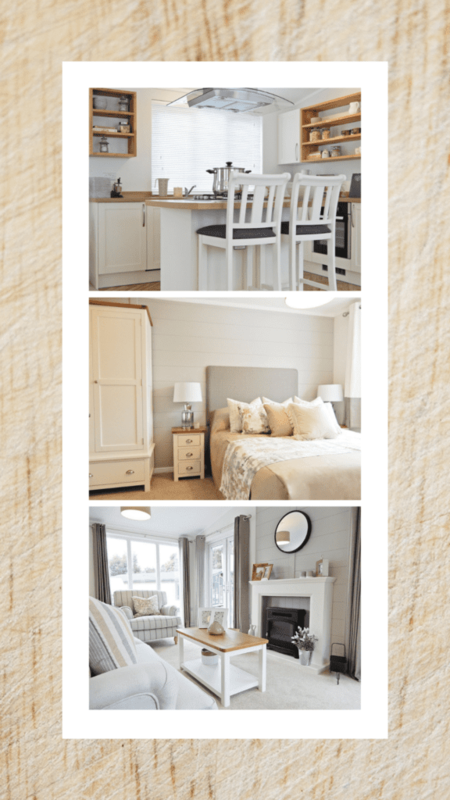 Our new range of "instant" annexes come fully furnished, that's the kitchen & appliances, dining table with 4 chairs, coffee table, lamp table and console table, curtains and carpets plus fitted wardrobes. 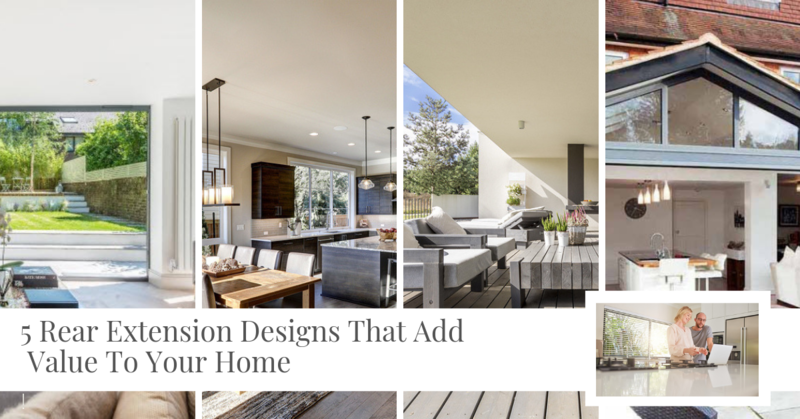 All models come in a choice of 1,2, or 3 bedroom options and come in a range of sizes and floor plans to choose from. Showmodel village visits available on request.